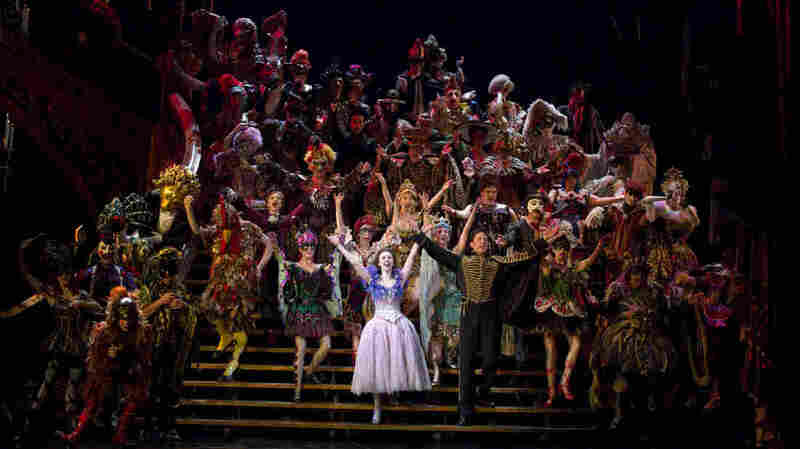 25 Years Strong, 'Phantom Of The Opera' Kills And Kills Again Invited guests packed the Majestic Theater on Saturday night to celebrate the longest-running Broadway musical ever. Times have changed, but the Phantom, that tortured genius who haunts the Paris Opera House, creating havoc and causing the chandelier to fall, has endured. The current cast of The Phantom of the Opera celebrated an unprecedented Broadway milestone Jan. 26, when the show hit its 25th anniversary. Hugh Panaro is The Phantom and Sierra Boggess is Christine in the 25th anniversary cast of The Phantom of the Opera on Broadway. An invited-only audience, in black tie and gowns, packed the Majestic Theater on Saturday to celebrate the first show in Broadway history to run for a quarter century. Director Hal Prince, who's won 21 Tony Awards, including one for directing Phantom, has his theories about the show's unprecedented success. "I think the enduring appeal is because it's so romantic and because audiences escape into it," he says. "It has a world of its own." It also has those soaring Lloyd Webber melodies. The composer couldn't make it to the festivities — he's recovering from back surgery — but he provided a video message. "I'd just like to say, I'm missing this. I really wouldn't have missed this for the world," he said, "but somebody will bore you with the statistics of the show and how long it's run and all of these sort of things, but it's not going to be me because I've forgotten them." 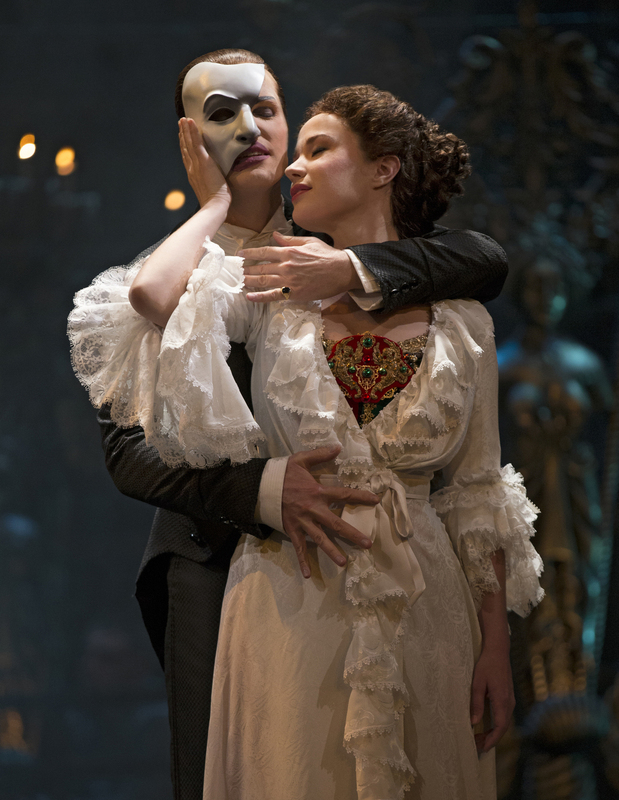 The Phantom of the Opera may be the most successful entertainment franchise of all time. It has grossed $5.6 billion worldwide — more than Avatar, more than Titanic, more than all the Star Wars films combined. A staggering 130 million people have seen the show in 28 countries and 148 cities in 13 languages. 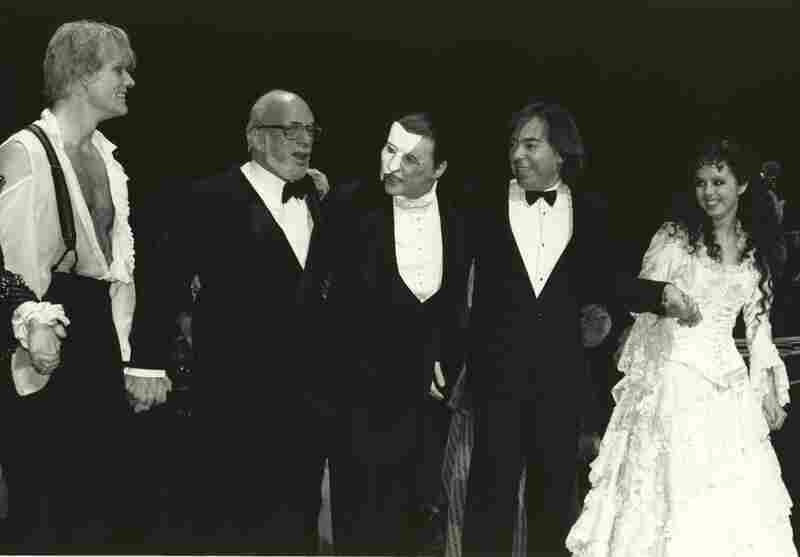 Soprano Sarah Brightman was married to Lloyd Webber when he was writing Phantom; she says he tailored the ingenue role of Christine just for her. "He'd pull me in and say, 'Let's try this out,' and I'd sort of lead him through various things I knew, and together we — well, really he created everything, but I think I was definitely a muse at that time," she says. Brightman, wearing a silver tiara, was one of the guests of honor. After the performance, Prince and producer Cameron Mackintosh emceed a little ceremony, which invited the cast, orchestra and crew of Phantom, as well as dozens of former cast members to take a bow. Four actors, who've played The Phantom in New York, London, Stockholm and Toronto took the stage to sing a couple of songs. Then the guests went to the New York Public Library for a big anniversary party. Come Monday night, Phantom goes back to the business of breaking the longest-running Broadway musical record with every performance. House manager Peter Kulok will be there to make sure the audience is well taken care of. "There's some kind of magic to this show that keeps people coming back, time and time again," he says. "There are many regular 'Phans,' as they call themselves."